Our new Club website is launched! 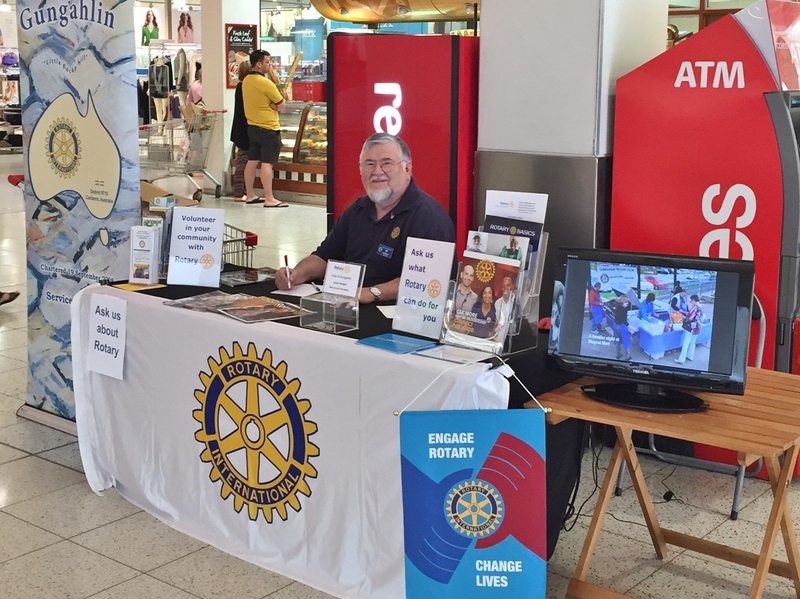 Just type rotarygungahlin.com into your browser and a click will take you there. It’s a new look and somewhat more interactive when it’s fully up and running. A note has been pasted on the previous website that it not being updated any longer. A former member, Geoff Windsor, currently in India, has done all the backroom work to bring us to this point (and has likely saved us 1000s of $) and now our job is to use it to show ourselves off to the (cyber) world. 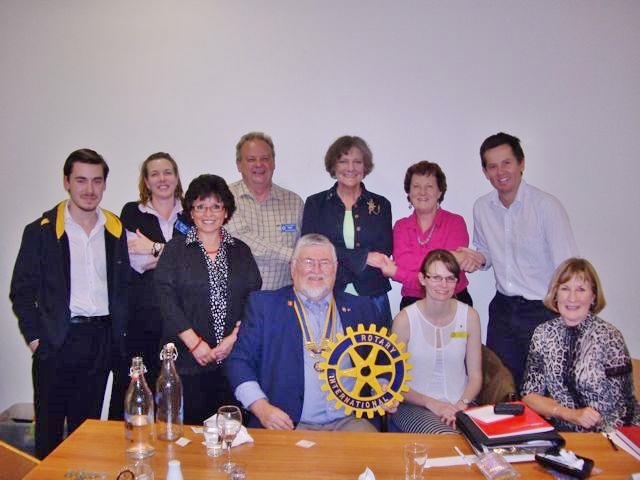 A good site will attract ‘hits’ from new visitors and will encourage them to revisit to find out more – about Gungahlin Rotary and about Rotary in general. On Monday night, 20th October, we will have a Club Assembly/Board meeting, to be held in the dining room of the Soccer Club. Mon 27th Oct We are not meeting at the Soccer Club but instead enjoying a social night in Kambah: 7-9.45pm Trivia Night organised by the Rotary Club of Canberra Weston Creek (flyer attached). $10pp & funds to Youth projects. Dinner also available from 5.30pm. Queries to Liz Friend. Car pooling to be discussed – early departure for those having dinner & later departure for those not having dinner. Mon 3rd Nov Vocational Night: Guest: Sue Kemp, Mustard Seed Pantry, Venue Soccer Club Boardroom. Last Monday night we welcomed Pam Brown, a professional in the field of mental health, specialising in trauma. Pam introduced her talk with a broad overview of mental health and gave us a good understanding of the functioning of the brain and then spoke passionately of her work in the area of Eye Movement Desensitization Re-processing Therapy (EMDR). In recent years trauma specialists working in this area have had significant success with EMDR, particularly for the many people who suffer from Post Traumatic Stress Disorder (PTSD). This therapy does not rely on medications, but instead uses a patient’s own rapid, rhythmic eye movements, which are understood to dampen the power of emotionally-charged memories of past traumatic events. Research in this area arises from the known healing value of rapid eye movements during normal sleep. Pam also holds a position with the EMDR Association. Members had many, many questions on this fascinating form of therapy. Wednesday 22 October, 2014, 6:30pm at Best Western Central Motel, Antill Street, Queanbeyan, $28 per person (tickets are strictly limited and need to be paid for by 14th October). Member Sandra is attending. On Monday night, 13th October, we welcome as Guest Speaker Pam Brown, a professional in the field of mental health, specialising in trauma. Given that it is Mental Health Week, we have asked Pam to speak about this important issue and have also formally invited Aurora Gungahlin. Many members will already know Pam, President Elect of Hall Club. Last Monday night six of our members and our Assistant Governor, Graeme Kinraid, attended a joint meeting with Young, Aurora Gungahlin and Yass, hosted by the Yass Club. More than 60 members and friends enjoyed a terrific social night, catching up with old friends and making new ones. The four Club Presidents spoke briefly about their Club’s activities, which was enlightening and resulted in lots of discussion. The idea for a joint meeting came as a result of the transfer earlier this year of our member, Emma, from the Young Club. So we have Emma to thank for bringing us all together. The photo shows Emma and her mother (to her right), enjoying the opportunity to catch up with friends from the Young Club. On Monday night we need to finalise numbers for the Trivia Night, Monday 27th October, organised by the Rotary Club of Canberra Weston Creek. The cost is $10pp and money will be collected by Liz so that a table can be booked. This is a great opportunity to also bring along family & friends for a fun night for a good cause. Wednesday 22 October, 2014, 6:30pm at Best Western Central Motel, Antill Street, Queanbeyan, $28 per person (tickets are strictly limited and need to be paid for by 14th October). Dinner Friday night $60pp with Guest Speaker Brendan Nelson, plus dancing & entertainment by.local band Big Idea. Mon 13th Oct Guest Speaker: Pam Brown (Member of Hall Club) is a professional in the field of Mental Health, particularly trauma. Meeting in the Soccer Club Boardroom. Mon 3rd Nov Vocational Night: Guest: Sue Kemp, Mustard Seed Pantry, Venue tbc. Next week we are not meeting on Monday but instead going to Yass on Tuesday night, 7th October. 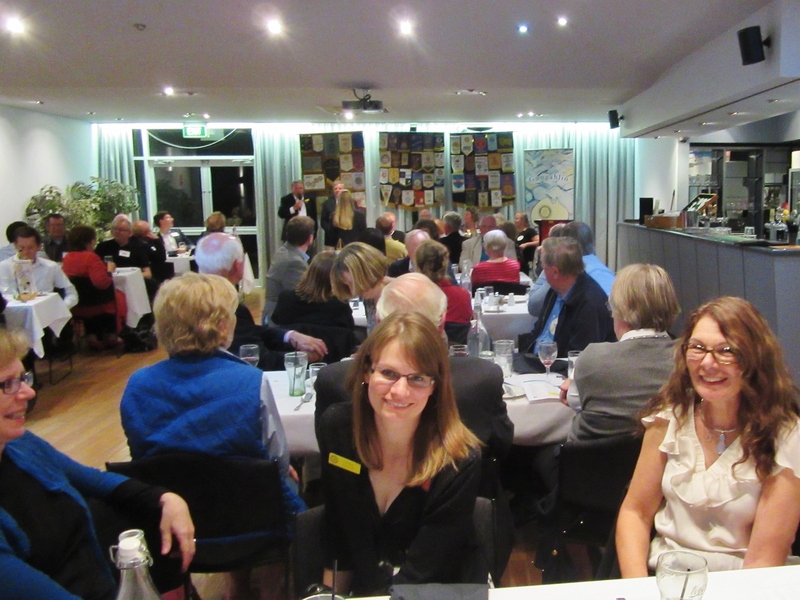 This will be a social night (& dinner) with the Rotary Clubs of Yass, Young and Aurora Gungahlin. Time: 7pm. Venue: Yass Soldiers Club, 86 Meehan Street, Yass. Last Monday night, a small number of members met at the George Harcourt Inn for dinner. As it was a Public Holiday, this social night was arranged to suit those not heading out of town for a long weekend and/or school holidays. From all reports, it was an enjoyable evening. Members were also very pleased to welcome Sandra home and to hear about her recent trip. “The more members we have, the more people we can help. A stronger membership base will result in stronger communities,” says Huang. Huang also hopes his presidential theme, Light Up Rotary, will encourage members to brighten Rotary’s image to the public, which he believes in return will improve member recruitment and retention. Tues 7th Oct 7pm. Joint Meeting (with Aurora, Yass & Young), Dinner at YassServices Club, 86 Meehan Street, Yass. Partner’s night. Next Monday, 29 September, we are meeting from 6.45pm at the George Harcourt Inn, Nicholls, for a social night with partners. It is a good opportunity to use this Public Holiday to have a relaxing time together. Pres. Ian has booked a table for dinner.